"Pantry pests" or "stored-product pests" is how exterminators refer to that gang of usual suspects who like to eat the food in our pantries and kitchen cabinets, like the rice weevils in this picture. Some people call them "food bugs" or "food worms," because quite often it's the larvae, some of which are worm-like in appearance, that they see. More specifically, pantry pets are beetles, weevils (basically beetles with snouts), or moths who live in or near stored foods (including pet foods) and feed on it. Some of these insects are very specific about the foods they'll eat, and some will eat pretty much anything. Few stored product pests are actually dangerous from a health standpoint. The government even has "filth standards" that allow a certain number of insects in foods. But they can impart foul odors and tastes to food, and they tend to eat out the nutritious parts and leave us with whatever is left over after they're done. And besides, most people believe that eating bugs is kind of gross. As is the case for modern pest management in general, non-chemical prevention is the first and best way to deal with pantry pests. Very minor stored-product pest problems can sometimes be solved, as well, by following the following simple instructions. Inspect all foods before you put them away after bringing them home from the market. If you find any that are infested, return them for a refund or throw them out, and avoiding buying that particular product for a while. If one package is infested, chances are that other packages in that lot or batch are infested. Place all susceptible foods (boxed pasta, grains, cereals, etc.) in insect-proof containers or heavy-duty zipper-type bags (the freezer-weight ones are good) before storing the foods away. Use transparent containers or bags so you can see the bugs before opening them. Store bagged pet foods in insect-proof containers, if possible. If you find that foods purchased from a particular store are frequently infested, then talk to the manager about it (or find a new store). Same goes for food brands that seem to frequently be infested. All manufactures have occasional problems with insects, but when those problems happen all the time with a particular manufacturer, something's wrong. There are many, many species of beetles, weevils, and moths that infest stored foods. The following are just a few of the ones that are more common in the Dayton area and throughout Ohio's Miami Valley. Indian Meal Moths. Indian meal moths are small moths with wings that average about 3/8 of an inch in length as adults. We get them a lot in Ohio, where they exist in nature as well as in foods that we bring home from the market. Indian meal moths have wings that are tan toward the front, and dark brown or black from about halfway to the distal end, which is fringed. Both wing portions are usually spotted or mottled. They also have long, motile antennae. As is true for many moths, Adult Indian meal moths don't eat our food. In fact, they don't eat at all. It's the larvae that do all the damage. Control consists of discarding infested food, properly storing uninfested food, and using pheromone traps to trap reproductive adults. When needed, careful applications of insecticides to cracks and crevices in food storage areas may be used. Rice Weevils. Maize Weevils, and Granary Weevils. These three weevils are all quite similar. The insect in this picture happens to be a rice weevil. Both rice weevils and granary weevils average about 1/10 inch in length. Maize weevils are a bit longer. All three species have full wings as adults, and rice weevils and maize weevils are able to fly, but granary weevils can't. These weevils will eat pretty much any plant-based food if they get hungry enough, they strongly prefer whole grains. They also need to pupate inside a kernel or seed, such as a nut, grain seed, or bean. They bore their way in as the last act of their "childhoods," as larvae ready to pupate, and pupate inside the nut, seed, or bean. When the insect completes pupation, it eats it way out and starts looking for a mate. Females are very prolific and can lay hundreds of eggs. One way to identify these weevils is to touch them. They pull their legs up to their bodies and play dead. It's not known whether this is a voluntary or reflexive behavior. Drugstore Beetles and Cigarette Beetles. These two beetles are very similar. The one shown here happens to be a drugstore beetle. Both drugstore beetles and cigarette beetles average about 1/10 inch in length as adults. Drugstore beetles have antennae whose last three segments are clubbed, and have grooved wing pads. Cigarette beetles have antennae whose last three segments are serrated, and have smooth wing pads. Other than that, they look pretty much the same. Another thing they have in common is that both of these beetles will eat pretty much anything, and both are serious pests of many stored products. Among the things they eat are flour and other milled grain products, cereals, herbs, spices, seasonings, medicines, hair, leather, fur, down, feathers: You name it, and chances are they'll eat it. They're easy to please that way. Drugstore beetles got that name because they frequently ate materials used to make medicines back in the old days when pharmacists used to compound most of their own medications. They're able to eat things that would be lethal to most insects. As with many pest beetles, it's the larvae of drugstore beetles and cigarette beetles that do the damage. The adult beetles don't feed at all. from their habit of infesting the herbs and other substances traditionally used to make medicines. 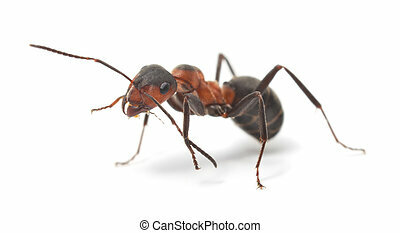 They are resistant to many poisonous compounds that would kill other insects. Sawtoothed Grain Beetles and Merchant Grain Beetles. These two beetles look almost identical to the naked eye, and have similar biology and habits. One significant difference that can be used for identification is that sawtoothed grain beetles can't fly, but merchant grain beetles can. Another difference can be seen under a microscope or a good magnifying glass. Sawtoothed grain beetles have serrated edges on the lateral parts of of their thoraxes, which is how they got their name. They're serrated, like a saw. Both sawtoothed grain beetles and merchant grain beetles will eat pretty much anything, but they prefer meals, milled grains, and cereals. They'll also eat things like pasta, corn starch, dried fruit, herbs, spices, and even potpourri. But they don't eat any kind of intact whole grains or nuts. The sawtoothed and merchant grain beetles are slightly unusual among stored product pests in that both the adults and the larvae feed. Most pantry pests only feed as larvae. Because of this, sawtoothed grain beetles and merchant grain beetles also live much longer as adults than most other pantry pests, which means that they have greater reproductive potential. Very small problems can grow into very big problems very quickly. If you have a problem with any of these or other beetles, weevils, or moths, we urge you to try the non-chemical methods described above. Quite often, simply discarding infested products and sealing uninfested products in tight containers is enough to solve a stored-product pest problem. If you need some help getting rid of them, however, please contact us. We'll be happy to take a look and suggest an effective control strategy. Dayton Pest Control provides high-quality food and pantry pest control in Dayton and Ohio's Miami Valley, including the cities and towns of Beavercreek, Bellbrook, Blanchester, Brookville, Carlisle, Centerville, Eaton, Englewood, Fairborn, Farmersville, Germantown, Gratis, Greenville, Kettering, Lebanon, Lewisburg, Medway, Miamisburg, Middletown, New Lebanon, New Oakwood, New Vienna, Port William, Sabina, Springboro, Springfield, Trotwood, Troy, Union, Vandalia, Waynesville, West Carrollton, Wilmington, and Xenia; and the Ohio counties of Butler, Clark, Greene, Miami, Montgomery, Preble, and Warren.